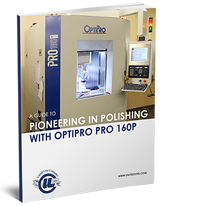 ULC is proud to offer the OptiPro PRO 160P as a resource to our customers. This CNC polishing machine automates the polishing of lenses and glass to ensure that laser-grade optics are available and job sites remain at peak efficiency. Fill out the form on the right to download our free eBook.